Looks like this little girl has a very busy schedule. Click here to see her schedule. If you would like to become one of KUSHKA's new friends, simply e-mail her with your photo and let her know. She loves reading e-mails that are sent to her. Click here to see some of KUSHKA’s friends. 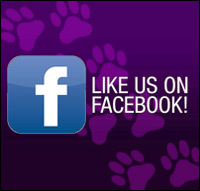 Head on over to the official KUSHKA: The Dog Named Cat Facebook page and 'Like' us. 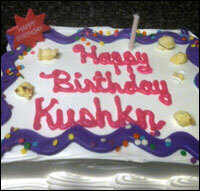 This will get you access to all of KUSHKA's latest news updates on Facebook. KUSHKA’s book is available in stores! 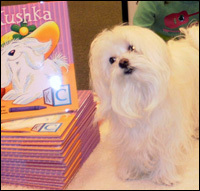 Click here to order your copy now and we will ship you an autographed copy with KUSHKA's paw print! Buy KUSHKA from the iBookstore! KUSHKA the Dog Nameed Cat is NOW AVAILABLE for the iPad, iPhone and iTouch. Play Fun Games with KUSHKA! KUSHKA loves playing dress up and other super fun games with special friends like you. You never know what exciting new games KUSHKA will be playing next. Click here! KUSHKA Makes the Front Page! 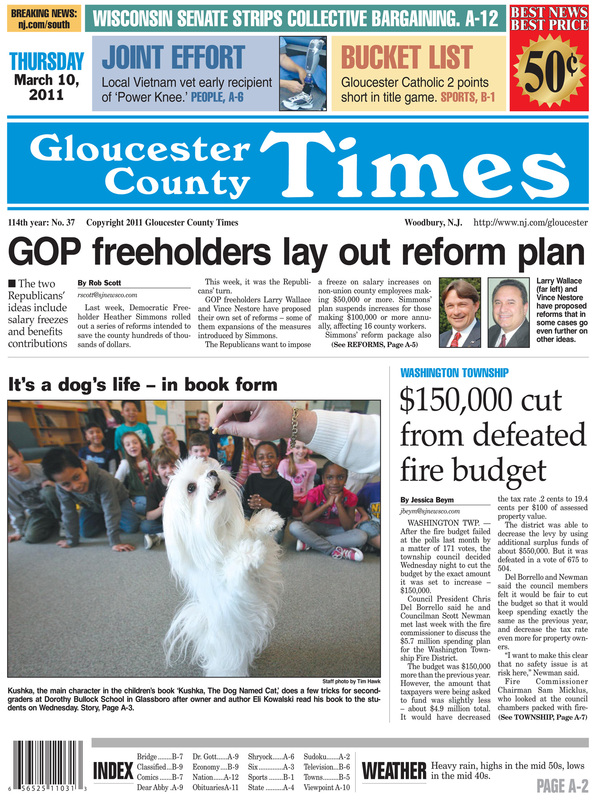 KUSHKA recently made the front page of the Gloucester County Times. Click on the thumbnail image or click here to view the PDF. 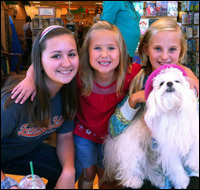 Submit your pet fan photos! Is your pet a fan of KUSHKA? Then submit your pet's photo to her. 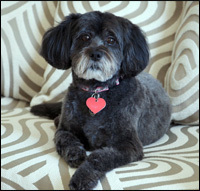 Click here to e-mail KUSHKA your pets photo and she'll add it to her Pet's Fan photo page!